Perth is one of those fascinating cities in Australia where you can always enjoy the outdoors. Thanks to its very favourable climate all-year round. Whether you are from within the Western Australian region or you come from another part of the world, there is truly a reason to love the great outdoors in this place. Wondering where you can find the best outdoor adventures in Perth? Whether you are visiting Perth with your family or friends, you will surely have to include Adventure World in your itinerary. This place is the only theme and water park in Perth thus you can be sure you will have a fun time here. With 25 rides to enjoy, this attraction in the city is worth enjoying especially during the summer. Located at The Esplanade, this spot provides a magnificent view of the Swan River, a famous tourist attraction where everyone can spend a whole day biking, cycling, jogging, sailing and even fishing. 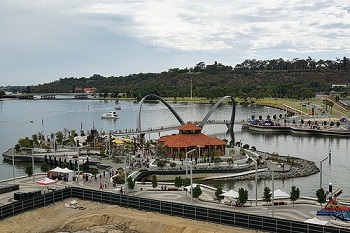 From Elizabeth Quay, you will be able to get a glance of the Southern part of Perth and that of the place’s famous Kings Park. If you happen to visit East Perth and you like to experience racing at its best, Gloucester Park is a great place to go to. Schedule your visit to this place on a Friday since this is the time of the week when racing competitions are held every night. 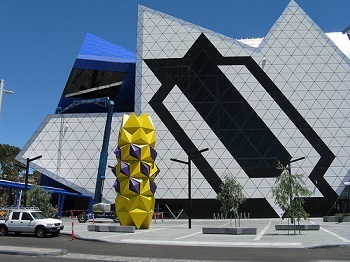 For those looking for extreme fun when in Perth, this is surely one thing you should never miss. For those of you looking for an entertainment-related fun in Western Australia, Perth Arena will surely be a welcome addition to your list of outdoor adventure must-tries. The good thing about going to this place is that you can be sure you will be accommodated in its 15,000-seating capacity venue and enjoy music and all sorts of live entertainment. Different sports competitions are also being held in this arena. If you and your friends like wakeboarding then visiting Perth Wake Park is worth everything. This outdoor adventure spot is the only wakeboard park you will find in the whole of Western Australia. It may not actually be located in Perth but if you have a ride, you can reach this place in just 30 minutes. This one’s located south of the city at Kwinana Freeway exit. When you want to reconnect with nature together with your loved ones, family or friends, Rottnest Island is one of those majestic attractions you must see when in Western Australia. This protected nature reserve is one to die for. Every nature lover will definitely appreciate the mesmerising views all around this island that even those who have been frequent visitors of Perth will always be happy to come and visit again. The outdoor adventures you have always wanted do not just stop in Perth. It extends to all other cities and places near it. When planning your trips to this famous Australian city, it will be good to make use of mini bus hire in Perth.